BY-LAWS OF THE CHILTON COUNTY ARTS COUNCIL, INC. The name of this Corporation shall be the Chilton County Arts Council, Inc. and the principal office of this Corporation shall be located in the City of Clanton, County of Chilton, and State of Alabama. The purpose or purposes for which the Corporation is organized is the transaction of any or all lawful business for which corporations may be incorporated under the Alabama Nonprofit Corporation Act. a. To serve Chilton County and surrounding areas as an organization for the promotion of art and artists. b. To provide information on art shows, art events and gallery exhibits to the public, event organizers and the area Chamber of Commerce. 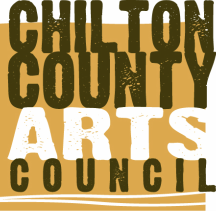 c. To publish a directory of Chilton County Arts Council members. d. To take, receive, own, hold, administer, distribute, and dispose of property, gifts, or donations of all kinds whether owned by it or others, whether real, personal, or mixed, acquired by gift, bequest, devise, or otherwise, either absolutely or in trust, without limitation as to amount of value, except such limitation, if any, as may be imposed by law, for the advancement, promotion, extension, or maintenance of the Corporation’s purposes and objects, or any of them; and in addition hereto, and not in limitation of, the foregoing purposed and powers, the Corporation may acquire, take, receive, own, hold, administer, distribute, and dispose of gifts or donations of property, real, personal, or mixed, designated by the givers or donors for the causes or objects herein mentioned, now or at any time hereafter. gifts, bequests, donations, and benefactions in furtherance of these objectives. the holders of the same class of security of the issuing entity, and generally, in all respects to exercise all of the rights of ownership therein. i. To transfer and pay over any amount held hereunto to any other organization organized exclusively for religious, charitable, scientific, literary, and educational purposes which is an exempt organization as defined under Section 501(c)(3) of the Code or corresponding provisions of any subsequent Federal tax laws. j. To receive any property, real, personal, or mixed, in trust, under the terms of any will, deed of trust, or other trust instrument for the foregoing purposes, or any of them (but for no other purposes), and in administering the same, to carry out the directions and exercise the powers contained in the trust instrument under which the property is received including the expenditure of the principal, as well as the income, for one or more than one of such purposes, if authorized or directed in the trust instrument under which it is received. k. To receive, take title to, hold and use the proceeds and income of securities, but only for the foregoing purposes, or some of them. l. In order to carry out the purposes herein above set forth, the Corporation shall have and exercise any and every power conferred on it by the laws of the State of Alabama, exclusively for religious, charitable, scientific, literary, and educational purposes, all for the public welfare, for which a nonprofit corporation, organized under the provisions of the Alabama Nonprofit Corporation Act, as from time to time amended, can be authorized to exercise, but not any other power. m. The Corporation shall have no purpose and shall exercise no power which would prevent it from qualifying as an organization described in Section 501(c) of the Internal Revenue Code of 1954 (the "Code") as exempt from taxation under Section 501(a), so long as said Internal Revenue Code shall contain such provisions. Membership in this Corporation shall be open to all individuals interested in the objectives of Article II and membership shall become effective immediately upon receipt of payment of annual dues. Each art group requesting participation on the Board of Directors shall submit one name to represent the group, paying the sum of one annual dues. A. Board of Directors of up to16 members shall provide operations of the Corporation and shall represent the best interests of the total membership and Corporation. Each member, both individual and group, shall have the privilege of serving on committees as needed and created by the Board, and shall render to the Board their advice and opinion in connection therewith. There will be no meeting of the members during any year unless specially called, with due public notice, by the Board. Unless specially granted by the Board, members shall not have any voting rights with respect to the Corporation or its actions. The resignation of any member in writing shall become effective immediately upon its delivery to the Secretary of the Corporation. No member of the Corporation shall be permitted to transfer its membership to another person, firm, partnership, limited-liability company, joint venture, association, Corporation or other form of business entity without consent of the Board of Directors. Each member shall pay annual dues of varying amounts as set forth in the membership application developed by the Board of Directors, as amended from time to time. Annual dues shall be payable in January and delinquent March 1 of each year. New members joining after June 1st shall pay one-half the annual dues. Contributions or Sponsorship of any amount shall be accepted under the guidelines established by the Board of Directors. The Treasurer’s books shall be audited annually by a committee appointed by the President with approval of the elected officers. The fiscal year shall be January 1 through December 31. All funds of this Corporation shall be deposited to the account of the Chilton County Arts Council, Inc. and shall be disbursed by the Treasurer and/or President as authorized by the Board of Directors. No personal liability shall attach in any event to any member of the Corporation in connection with any of its undertakings, but all its liability shall be limited to its common funds and assets. Neither the Board of Directors nor the Officers shall have any authority to borrow money or incur indebtedness or liability in the name of or on behalf of the Corporation. No contract shall be entered into and no obligation shall be incurred beyond funds on hand or in the bank after deducting or providing for the total of all unpaid accounts and unpaid obligations and liabilities. The Board of Directors shall consist of up to 16 elected officers, appointed officers and Committee Chairs. The initial Board of Directors shall be elected at the Organizational Meeting and thereafter at the Annual Meeting. The Board of Directors shall have general charge and control of the affairs, funds and properties of the Corporation between meetings including the right to reschedule regular meetings in an emergency. No action of the Board of Directors shall conflict with actions taken by the Corporation. Section 1. ELECTION AND APPOINTMENT. Elected officers of the Corporation may be a President, Vice-President, a Secretary, and a Treasurer. These officers shall perform the duties prescribed by these by-laws adopted by the Corporation, and other duties as may be directed by the President. At the regular meeting in May, following nominations from the floor, two members shall be elected by ballot, unless there are only two nominees in which case the election may be by voice. A majority vote shall constitute election. The chairman shall be a member of the Board of Directors appointed by the President. a) The nominating committee shall submit one name for each office to be filled and report at the regular August meeting. name shall be placed in nomination without the consent of the nominee. Officers shall be elected by ballot at the Annual Meeting unless there is only one nominee for any office, in which case the election may be by voice vote. A majority vote shall constitute election. a) Officers shall serve for a term of one year or until their successors are elected with the exception of the Treasurer who shall serve until the books are audited. Their term of office shall begin at the beginning of the following year after the Annual Meeting, although work, organization and other duties to prepare for such offices may begin immediately after the close of the Annual Meeting at which they are installed. b) For all other members of the Board other than officers or committee chairs, their seats shall be divided at the initial meeting into three separate categories. The initial term of election for those Directors assigned to the first category shall be one year. The initial term of election for those Directors assigned to the second category shall be two years. The initial term of election for those Directors assigned to the third category shall be three years. Thereafter, for all Directors, a term shall be three years. Directors with ending terms shall be allowed to reapply and be reappointed for up to three terms at which time they leave the Board for at least three years. c) No member shall hold more than one office at a time. A vacancy in the office of President shall be filled by the Vice-President. A vacancy in any other elective office shall be filled by the elected and appointed officers by majority vote of the Board of Directors. a) Preside at all Board of Directors meetings. b) Appoint standing and special committees, except those otherwise specified in these by-laws. c) Serve as ex-officio member of all committees except the nominating committee. d) Shall co-sign checks with the Treasurer in amounts of $300.00 or more and shall sign checks in the absence or inability of the Treasurer to perform this duty in amounts less than $300.00. e) Shall be the official representative of the Corporation. a) Serve as an aide to the President and in the President’s absence or inability to serve, perform the duties of the Office. b) Shall co-sign checks in amounts of $300.00 or more in absence of President or Treasurer. c) Succeed to the Office of President in the event of a vacancy in that office. d) Serve as Chairman of the Membership Committee and maintain a current roster of all members. No name shall be submitted for the Membership Roster unless that member’s current annual dues have been paid and received by the Treasurer. a) Keep accurate minutes of all Board of Directors meetings. b) Have available at all meetings current By-laws and Standing Rules. c) Keep a current roster of all members, addresses and phone numbers. d) Perform other duties as directed by the Board of Directors. g) Register attendance of the Directors at meetings and have available name tags as needed. h) Collect all publicity, photographs and memorabilia and maintain files of printed materials as well as provide electronic files for publication on the website when possible. a) Be custodian of all funds. b) Keep an itemized account of all receipts and disbursements and make a financial report at each Board of Directors meetings. d) Deliver annual report with thank you to the participating municipalities and/or sponsors for their support. f) Submit all financial information and books to the Finance Committee by March 1st. h)File any government forms if required. i) Prepare an accounting of disbursement of all budgeted items and notify chairman and officers of balances of funds budgeted for use of Corporation’s function. Regular meetings of the Board of Directors shall be held January, March, May, August, and October. The time and place shall be announced at the previous meeting or as notified at the direction of the President. Special meetings shall be held at the request of 5 members or by direction of the President upon 5 days notification. The annual meeting shall be the January Meeting. All materials pertaining to the office shall be presented to the succeeding officers on or before the Annual Meeting, except for the Treasurer’s books. The Treasurer’s book must be presented no later than March 15th after the auditing by the Finance Committee. meeting shall be decided by a majority vote of those Board members present. Notice or notification as mentioned herein shall be given to the party to be notified via email or telephone, which preference shall be specified on the party’s membership application. Section 1. STANDING COMMITTEE CHAIRMEN. All Standing Committee Chairmen shall be appointed by the President with recommendations from the elected officers. No Committee projects shall be undertaken without the approval of the Board of Directors. Finance, Membership, Marketing, Sponsorship, Events. Special Committees shall be appointed by the President with recommendations from the Officers. Section 5. COMPOSITION AND DUTIES. as present a report to the incoming President by the annual meeting of the current year. The Treasurer shall serve as chairman. 1. Work with Treasurer to verify paid membership for inclusion in Membership Roster. 2. Forward membership checks for deposit within one week of receipt. 3. Work with Vice President as needed to compile and distribute the rosters at the annual meeting and shall compile and distribute supplement rosters of members joining after due date. 4. Work with Events Committee to plan and organize membership events. 5. Prepare, organize and keep membership related materials. c) Marketing Committee shall promote news of the Corporation. This committee shall also work with the Events Committee to promote the Corporation’s special events, meetings, programs and other activities. website and Facebook page of the Corporation. d) Sponsorship Committee shall coordinate, inform and solicit for sponsorship and grant funds for the Corporation. This committee shall also prepare, organize and keep all sponsorship related materials. e) Events Committee shall organize all aspects of meetings and activities of the Corporation including but not limited to planning and coordinating with other committees regarding the meetings of the Board of Directors or members, programs and events. This committee shall also maintain the calendar of events and meetings for the Corporation. In the event of dissolution, the residual assets of the Corporation shall be turned over to one or more corporations which are IRS Code 501(c)(3) tax exempt. None of the funds shall inure to any individual member. These by-laws may be amended at any regular meeting of the Board of Directors by a two-thirds vote of those present and voting, provided that notice has been given at the previous regular meeting. 1. The Board of Directors meetings shall be held at 2:00 P.M., on the second Sunday in January, March, May, August and October, at various public locations chosen by the President. 2. The amount of at least $200 shall be left in the bank account at all times for maintaining the account. 3. Charter members of the organization shall be listed in the Membership Roster. 4. Past Presidents and term of office shall be listed in the Membership Roster. Treasurer shall issue a check for the required amount upon direction of the President and/or Board of Directors. If it is a budgeted item, it may be paid by the Treasurer upon receipt of proof by the officer or committee chairman. The Board of Directors other than the Founding Director may elect to have a Founding Director serve each year for a one-year term. Notwithstanding any other provision of these bylaws, the only individual eligible to be elected as Founding Director is Elizabeth Byrd. The Board of Directors may appoint an Advisory Board. Members of the Advisory Board shall not, in their capacity as members of the Advisory Board, have any right to vote on any action of the Corporation. Members of the Advisory Board shall hold office at the pleasure of the Board of Directors. The Advisory Board will give advice to the Board of Directors when such advice is solicited. Advisory Board Members shall have five year terms. No member of the Board of Directors shall serve simultaneously as a member of the Advisory Board.